It is the dream of every house-owner to have a portion of the house area as a garden. A garden is a place where we can relax , unwind and enjoy the nature. A garden with beautiful landscape , blooming flowers is what all of us want to own. If you have enough money , you can ask the service of a landscape firm to setup the garden for you but be prepared to spent thousand of dollars . But for those with small budget you can also setup the garden that you desire. In this topic I will write on some tips on how to set-up a backyard garden. Most of us prefer a backyard garden as we can have some privacy with our family and the environment is more greener. Identify the maintenance needs of your garden. Determine the space required at your backyard. Design your garden so that you can calculate the budget. Address the high maintenance issues and plan some ways to overcome it. 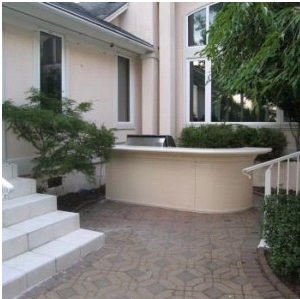 Look at your existing backyard that you want to convert into a garden. If there is any plants , decide which one that you need to get rid of. The purpose of having a garden is for you to relax. As such , never design a cluttered garden such as overcrowding with plants . Having too many plants will invite mosquitoes and insects. Make a sketch of the garden layout to be built so that you can have the idea how to simply the place. If you want your garden full of butterfly then you should planting some plants that can attract butterflies. Such plants are aster, dill, pansy etc. The garden soil must be fine so that when you want to seeding it will be easy and the seeds can mixed well into the soil particles. Stay away from large lumps as the tiny hair root of the planting could not be able to penetrate through the soil properly. Don’t rush into the gardening to avoid any downturn mood if the garden is not what you have expected when it is ready. Make more research and gather as much tips that you can from various resources.